Buy and try. 14 day no-hassle return policy. Plus Alpen has a Life Time Warranty. Extra Saving. Better pricing than box stores. Alpen- the only manufacture awarded 6 "GREAT BUY" Awards! Binoculars called 8 x 42 means '8' is the magnification times closer) and '42' is how big the lens is on the bottom (objective lens). The larger the lens, the more light agathering and brighter image in low light...but also they become heavier. 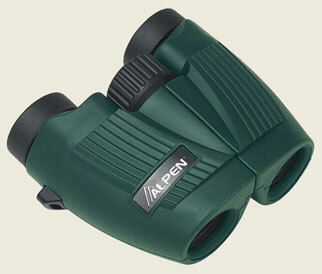 ALPEN’s high performance Shasta Ridge binoculars are fully waterproof, fully multicoated, have long eye relief, and feature BAK4 optics that allow hunters, shooters, birders, boaters, and outdoor enthusiasts clearer, brighter viewing under all conditions. And, they feature ALPEN’s lifetime warranty. The full size models have a sleek roof prism design while the compact models are porro prism design. 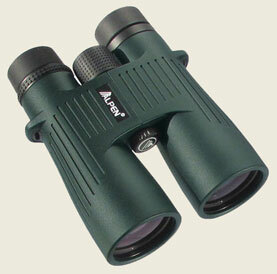 Both designs provide the performance required by the most dedicated sports optics users. Shasta Ridge binoculars meet the extreme all weather needs of today’s active adventurers. When your goal is top performance and great value, the ALPEN Shasta Ridge is your best choice. 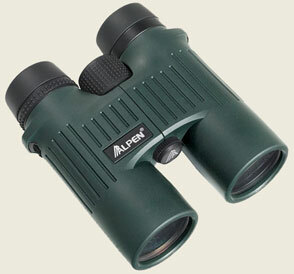 Don't miss out on our PINK Binoculars. Click 4 info Supports cancer foundation. Great value, great quality...and a real conversation getter. Plus a donation is made for cancer, for each sale. Shasta Ridge 10x42 - "Best Buy" Award Winner! !